Tan (left) and his lawyers. KUCHING: The Sessions Court here has fixed Oct 12 for the pre-trial case management in the 2015 Bersih 4 illegal assembly case involving the then-Bandar Kuching MP Chong Chieng Jen and the then-Stampin MP Julian Tan. 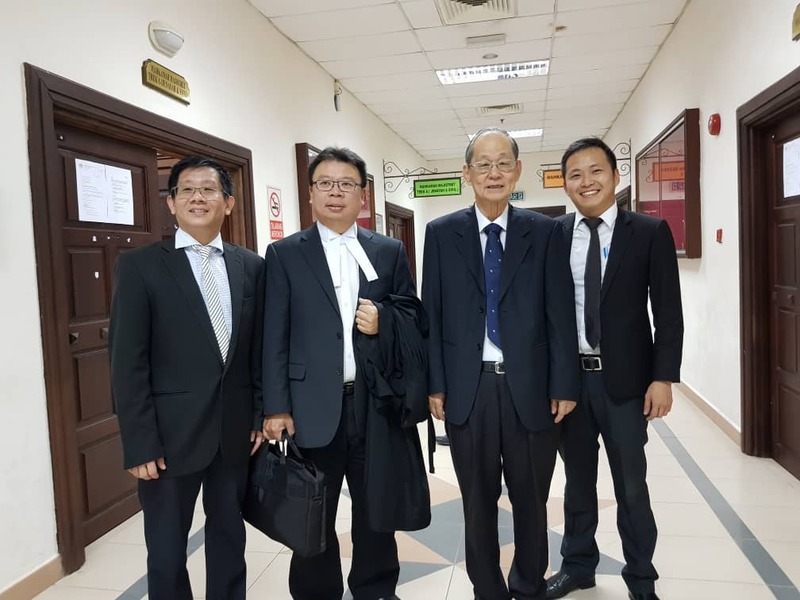 The date was fixed because Chong and Tan had already been ordered to enter their defence after the High Court decision in acquitting them was reversed on appeal by the prosecution. The duo’s legal team said they had written a letter to Federal Attorney-General’s Chamber to drop the case because most cases similar to theirs under Section 4 (2) (c) of the Peaceful Assembly Act (PAA) 2012 were withdrawn. Therefore their lawyers, including Chong’s father Chong Siew Chiang, asked the Attorney-General to exercise the same discretion. Session Court judge Steve Ritikos today however went on to fix pre-trial case management on Oct 12, 2018. The prosecution in the case secured its appeal against Chong and Tan’s acquittal on April 6, 2018 because the prosecution has in fact established prima facie case. Chong was not present as he has a Cabinet meeting and an official function to attend to today. Chong and Tan allegedly committed the offence on Aug 20, 2015 during the Bersih 4 rally.